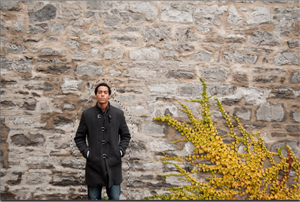 Photoshop CS5 is out and has lots of really cool new features. I'm going to cover a few of my favorites over the next few weeks, starting with mind-boggling Content Aware Fill. Open an image and make a rough selection. Notice that this selection includes some of the background. 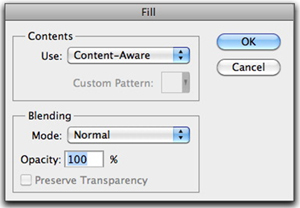 Choose Edit > Fill and from the Use drop-down menu, select Content-Aware. 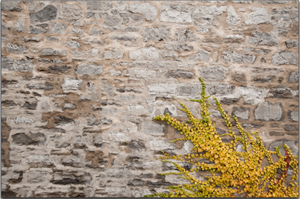 After a few moments of processing Photoshop succeeds in removing the selection and builds a wall in its place! For a long-time Photoshop user like me, this is nothing short of magical. Curiously, tree stumps appear as our cyclist is removed. Truthfully, I'm still impressed. Removing the stumps is a quick task for an experienced Photoshop user. I'm thrilled I don't have to build the railing, the sidewalk or the ground in the background! Note: All images used in this training post are courtesy of Adobe Systems, Inc. If you are new to Photoshop and want to get up to speed quickly, join IconLogic's instructor-led, online Introduction to Adobe Photoshop class. Too elementary for your skill level? How about the Advanced Photoshop class? Hope to "see" you there.